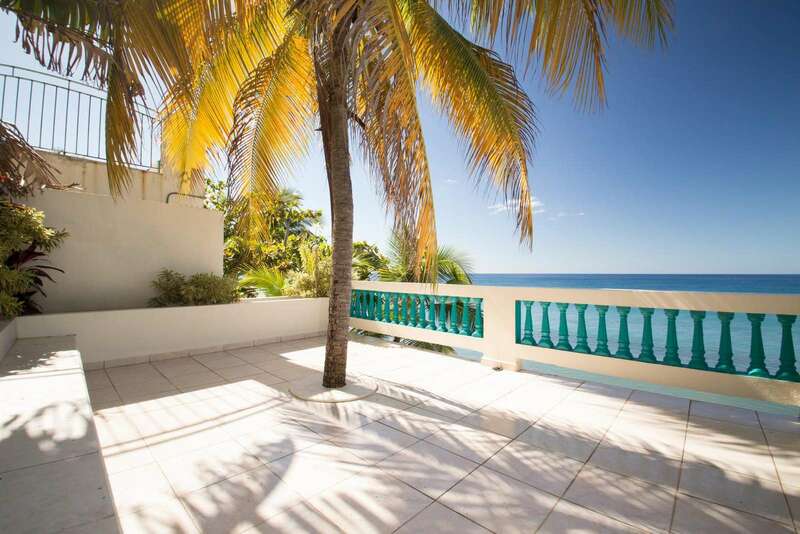 Take the spiral staircase to the upper villa and your first words will be “WOW”! 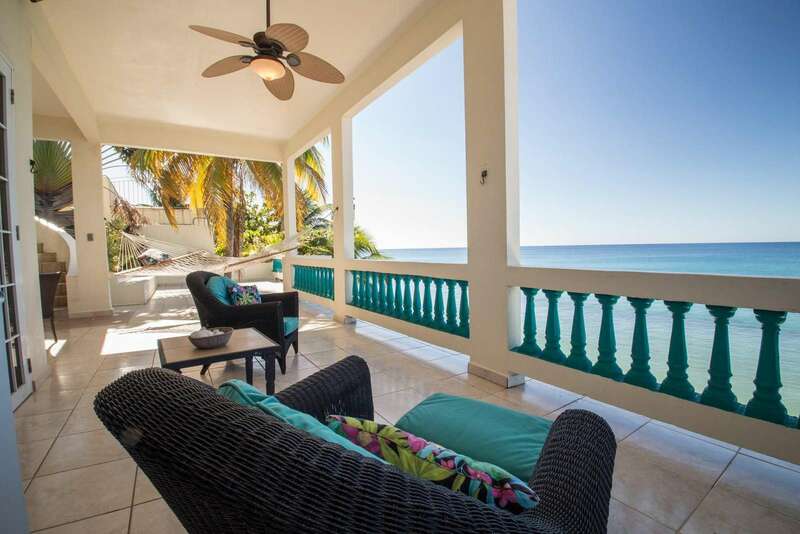 Villa 1 upper is a private, spacious, open and very special. 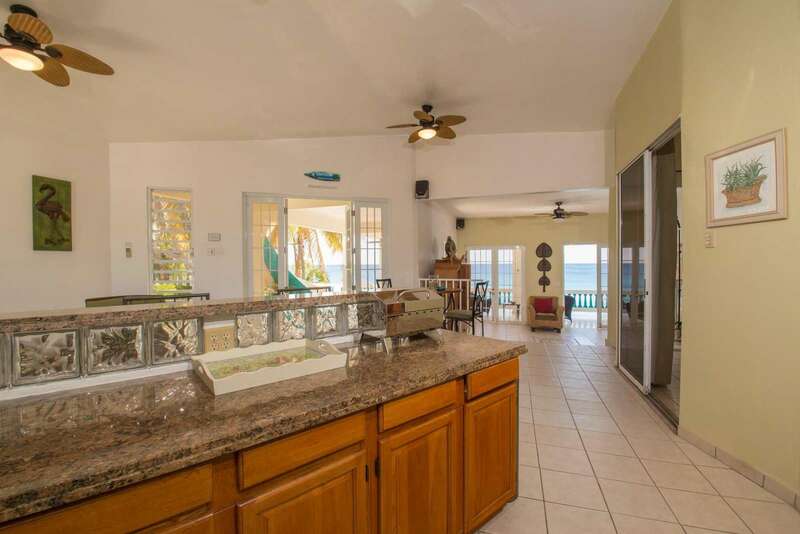 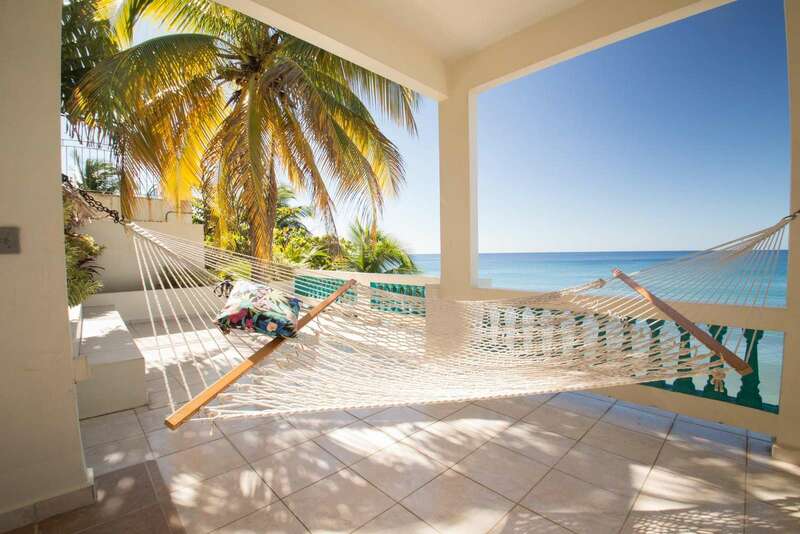 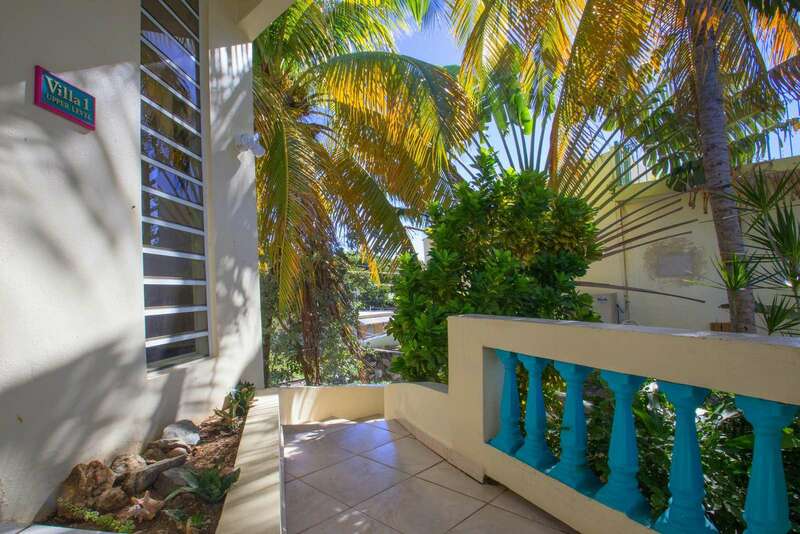 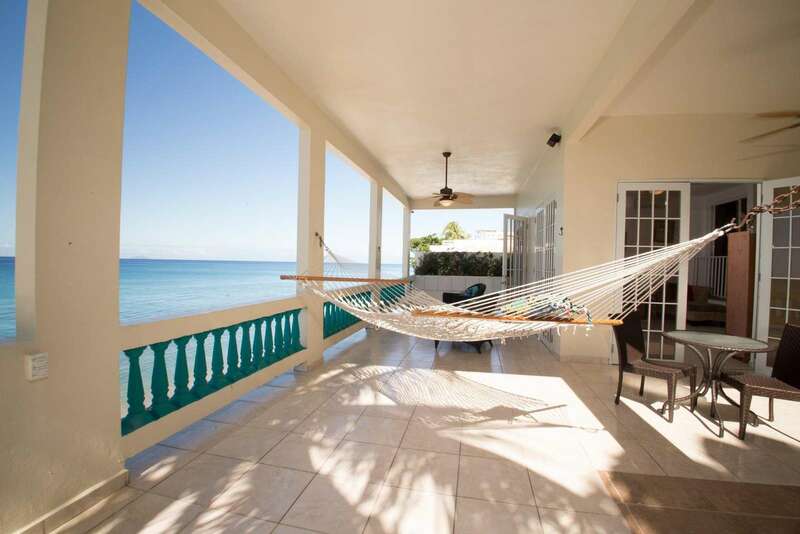 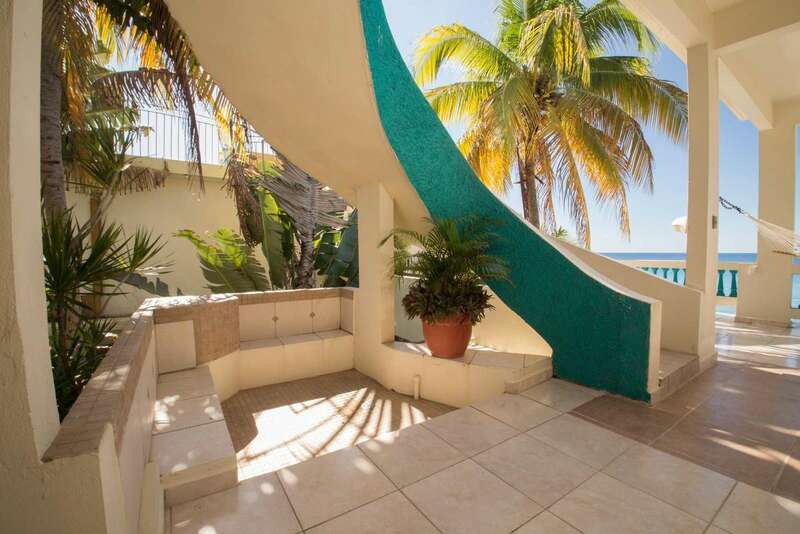 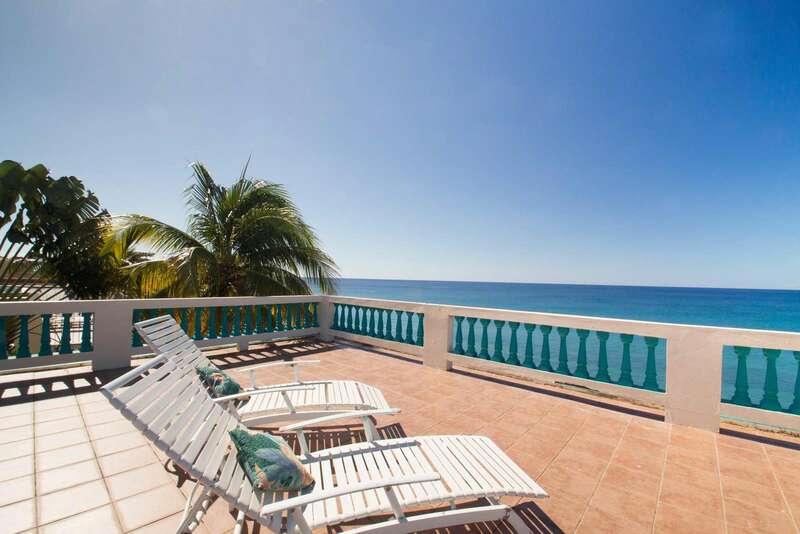 Impeccably decorated, cathedral ceilings, skylights, french doors facing facing the ocean. 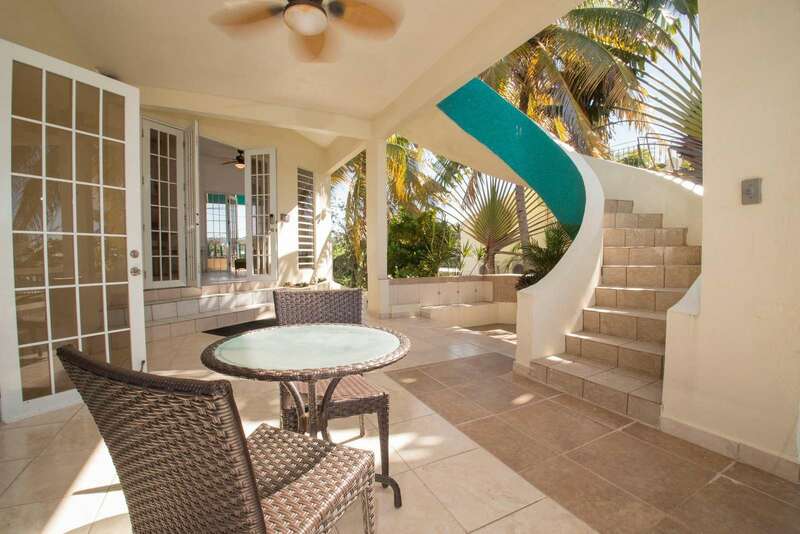 Take the spiral staircase to the upper villa and your first words will be “WOW”! 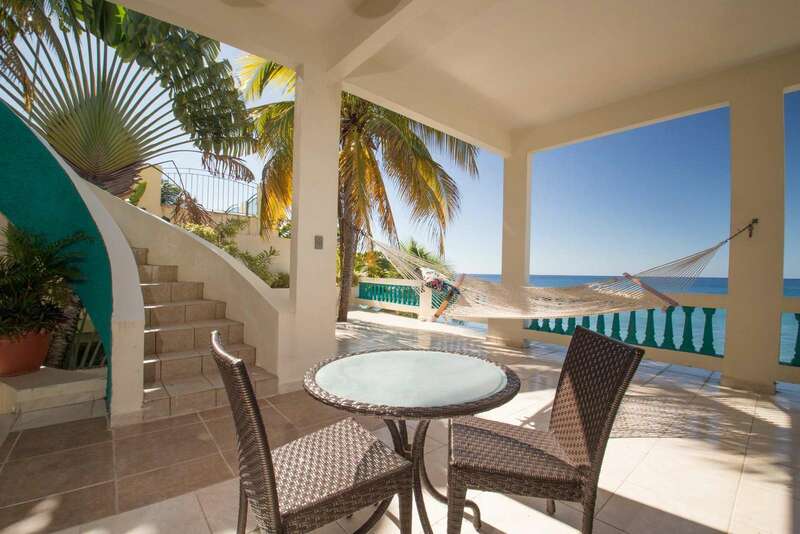 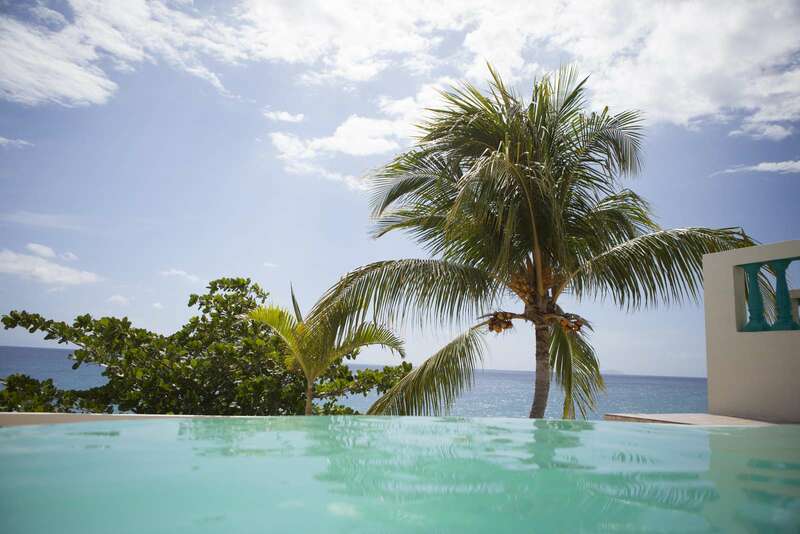 Nicknamed, the “Honeymoon Suite”, Villa 1 upper is a private, spacious, open and very special. 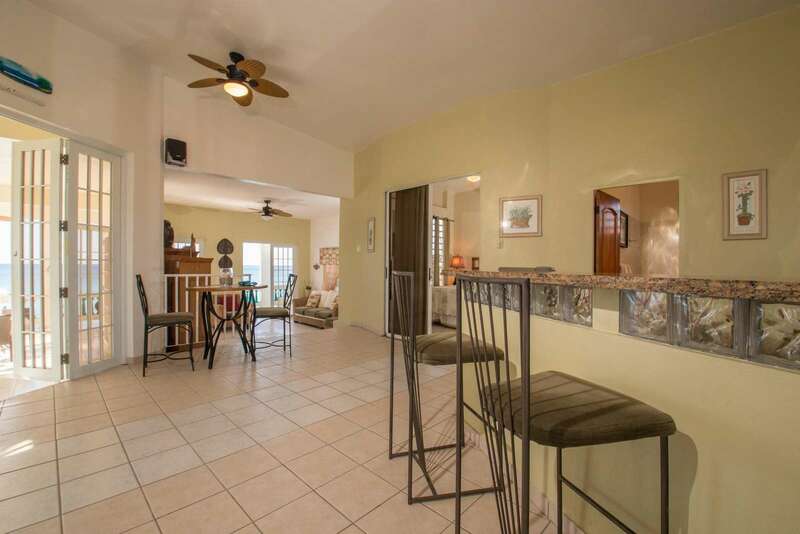 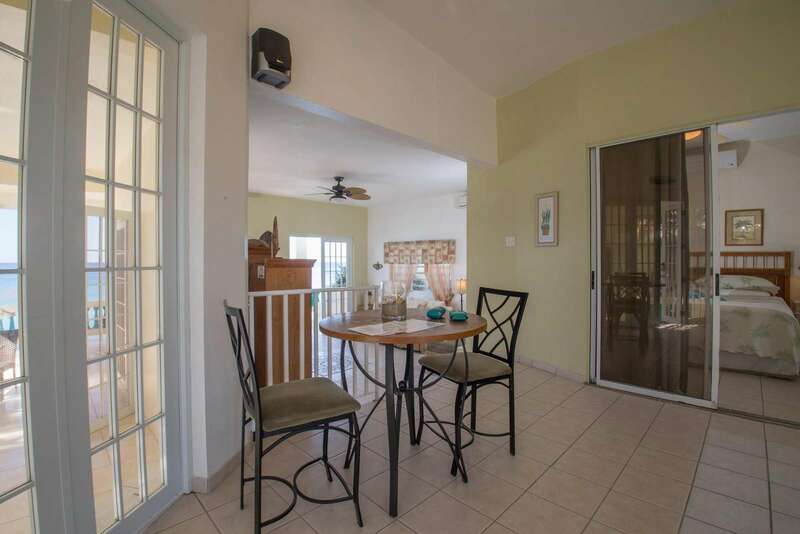 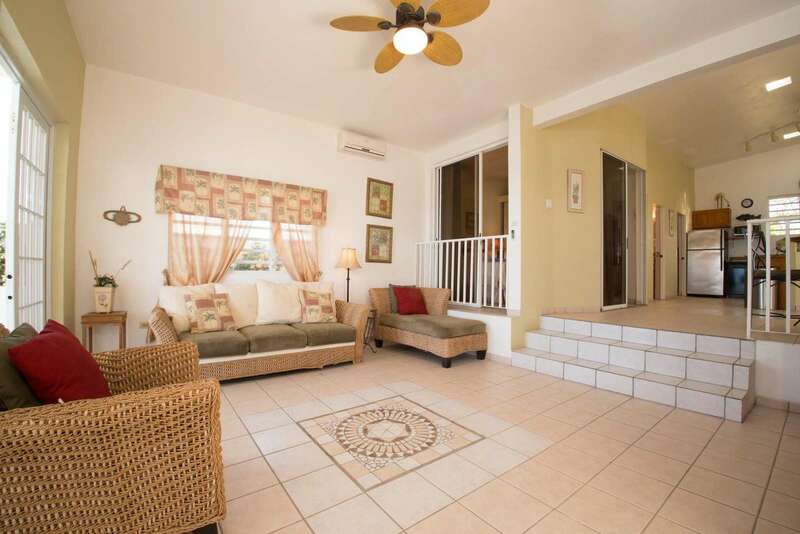 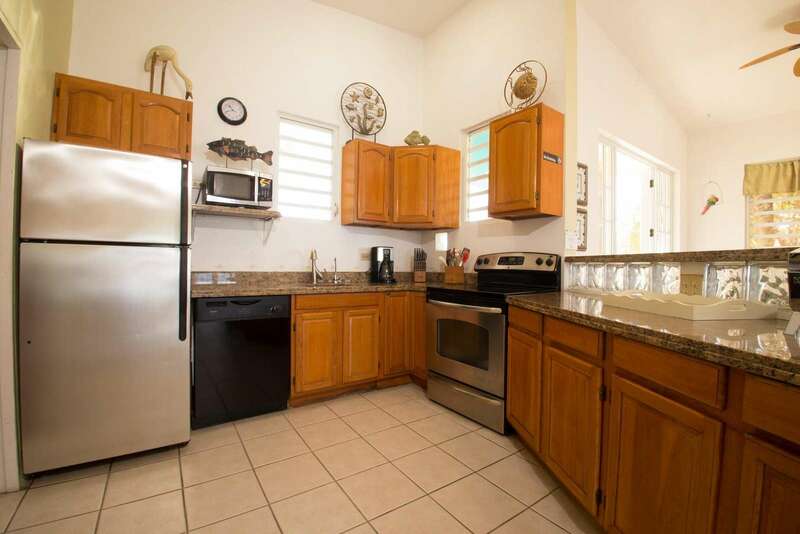 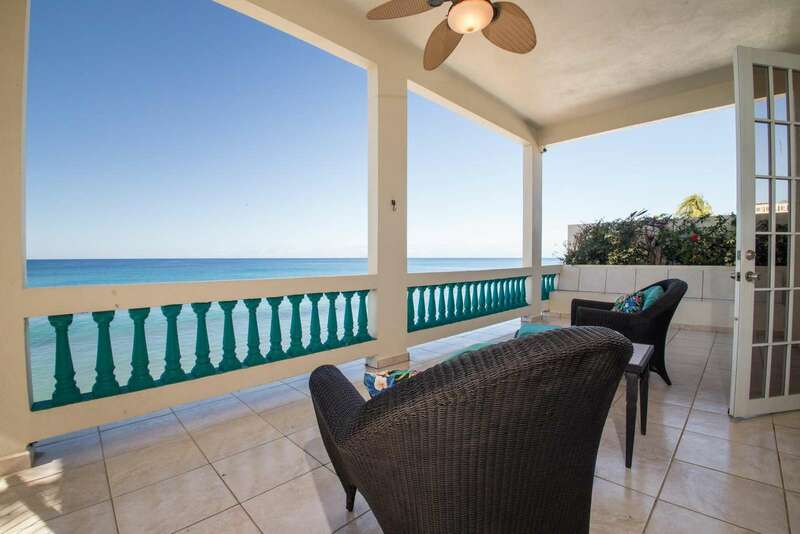 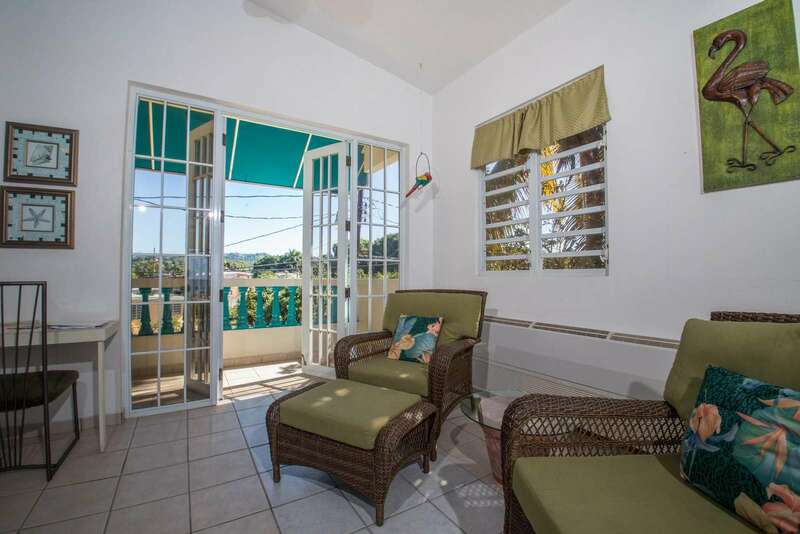 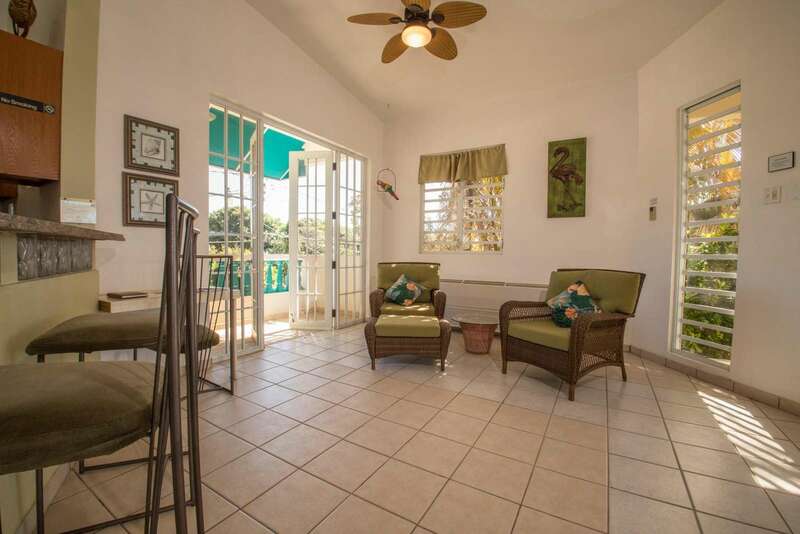 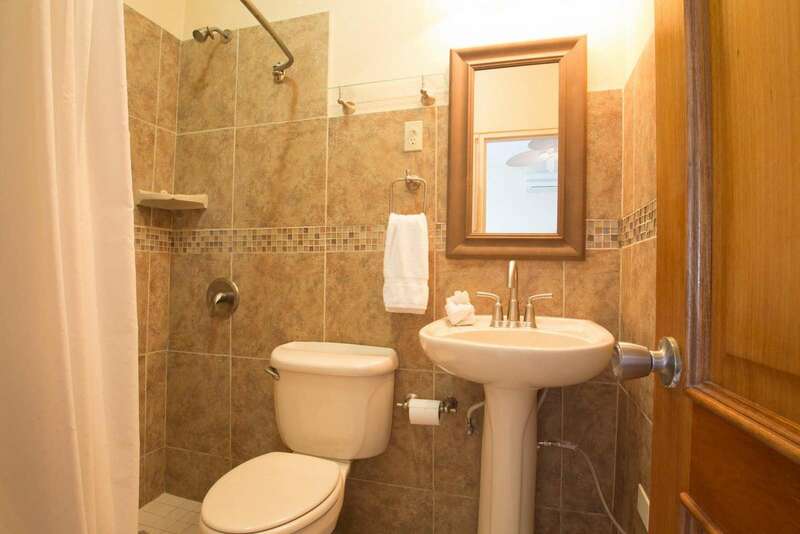 Impeccably decorated, cathedral ceilings, skylights, french doors facing the ocean, fully equipped kitchen with dining area, bathroom, living room, air-conditioning and a wrap-around covered porch make up the upper unit. 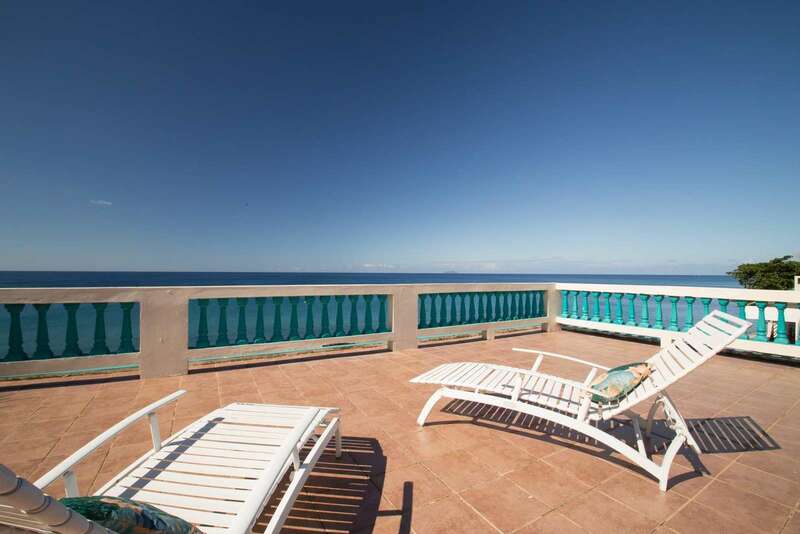 And to top off the perfection, a rooftop sundeck offering great breezes and fantastic views! 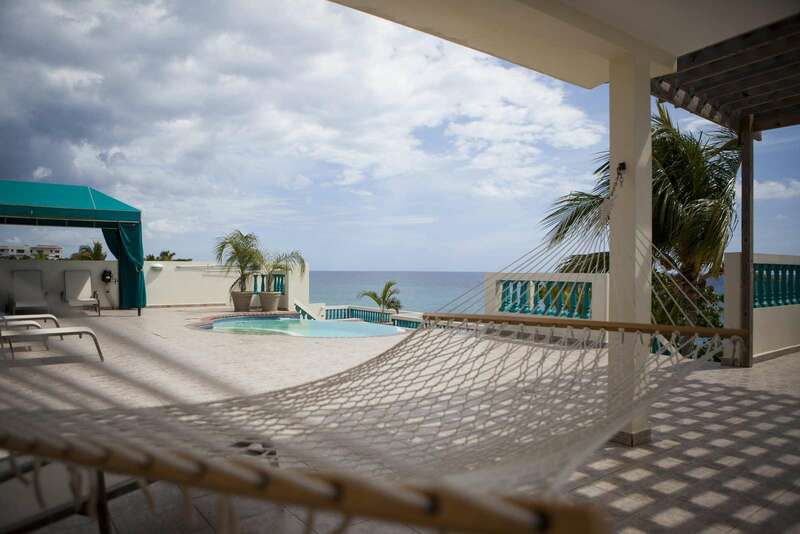 Villa 1 Upper is just a few steps away from our brand new rooftop common space with many lounge chairs and a brand new hot tub. 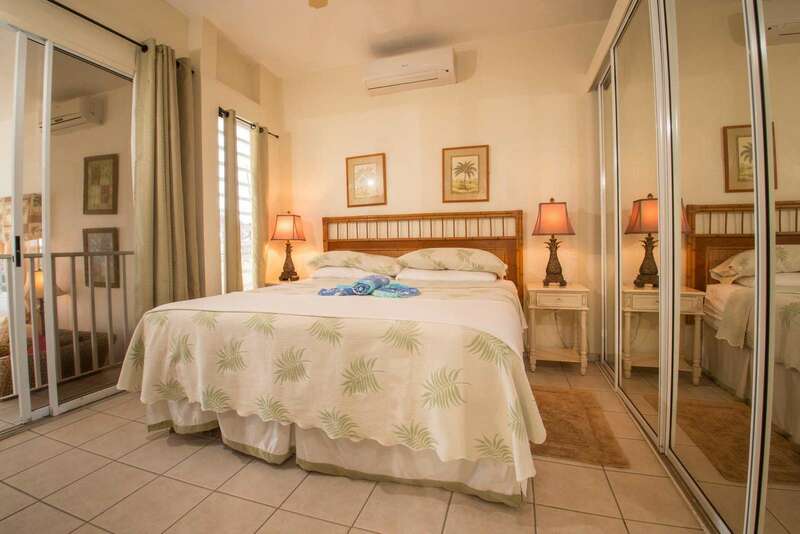 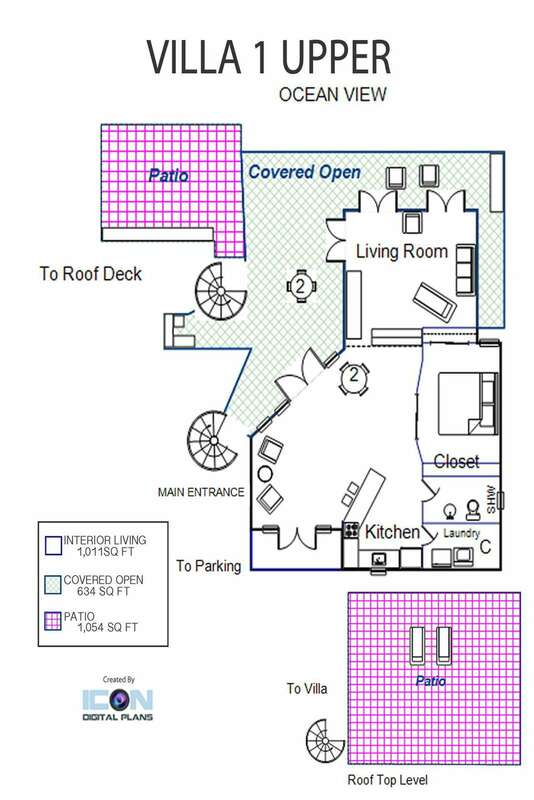 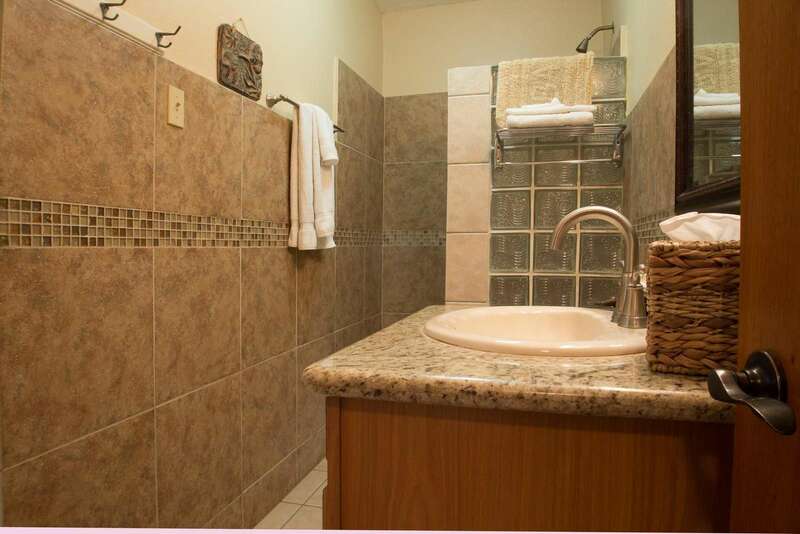 It can also have direct access to our neighboring brand new, 2-bedroom Villa 4 Upper unit. 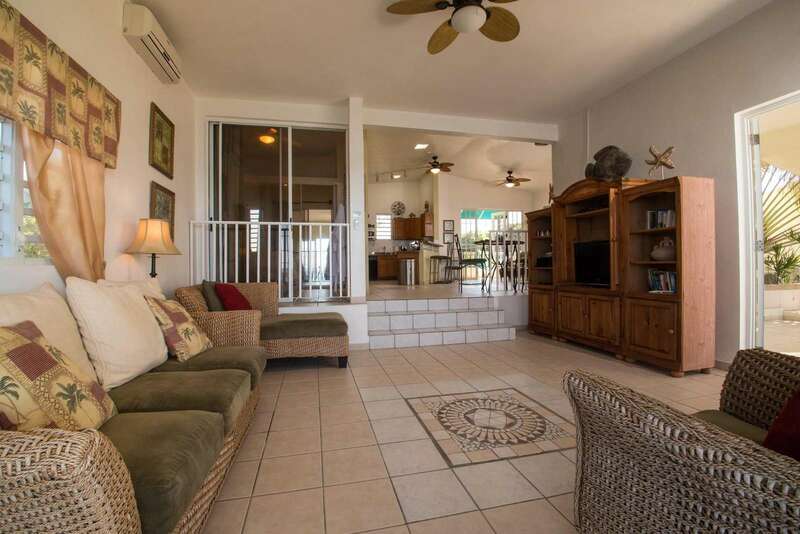 You can mix match villas for the size of your group! 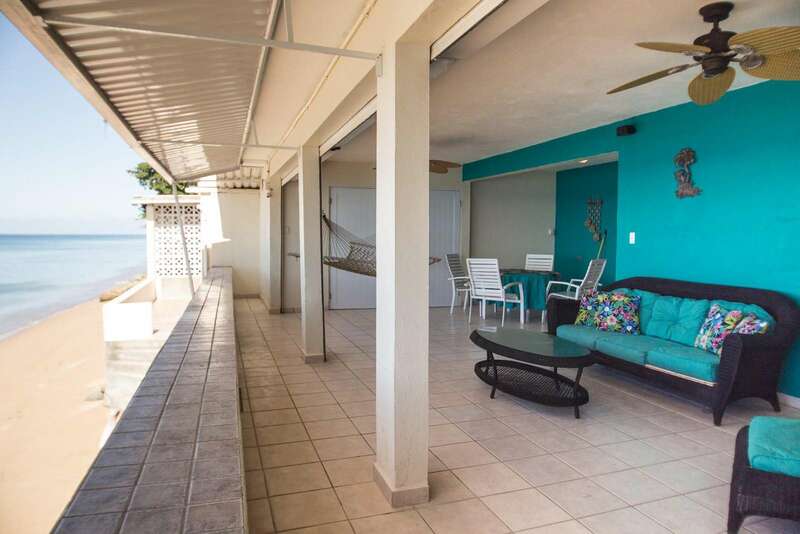 Pool, Jacuzzi, rooftop area, kayaks, 220 channel satellite TV service in addition to 1000's streaming TV channels and internet available.